Time seems to pass abnormally fast when you’re working hard on a project and certainly this has been the case in March for us. But hey, thanks to the leap day we got at least one extra working day! 🙂 We are certainly now starting to feel the pressure of the fast approaching release date which on one hand feels a really joyful moment but at the same time it’s a bit frightening because we have to stop polishing and adding cool stuff to the game we have learned to love so much. Legend of Grimrock is certainly a lot more personal project to us than other games we have worked on in the past and therefore it’s a bit sad to finally let our baby go out to the big world. Therefore we have worked extra hard this week and nailed a lot of bugs, including two crash bugs near the end of the game – a big thank you to our beta testers who have been relentlessly playing the game. Apart from fixing bugs we have also polished various aspects of the game. For example, we completely reworked the save game dialog so that it now shows information such as characters and their levels, play time and the current dungeon and level you’re playing in. In bigger news we have implemented 40 achievements, some of them pretty challenging to unlock. Olli has almost but finalized the remaining animations so his animation work for LoG is now pretty much complete unless our testers still find something to fix. Juho is also gradually moving on from the game to work on the launch trailer. Antti and me, we have been juggling with various miscellaneous tasks that just have to be done. 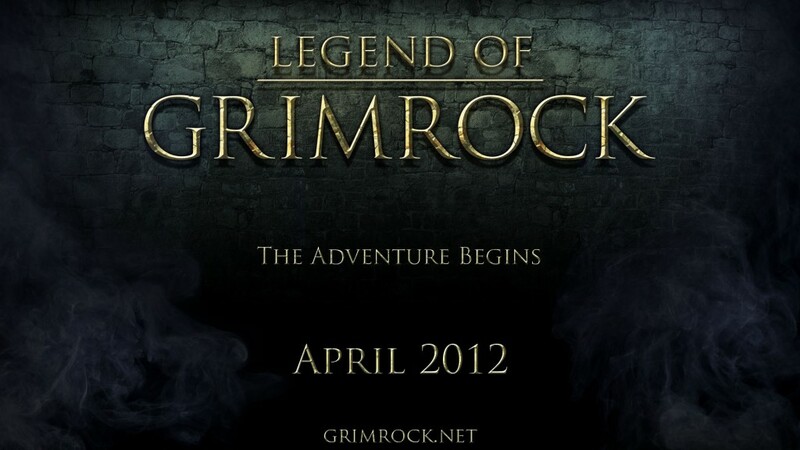 We know you’re all anxious to hear about the release plans and as you probably already saw in the big poster above, we’re finally able to tell you something concrete: The PC version of Legend of Grimrock will be released in early April and we are going to start preorders a few weeks before launch. That said, we have signed NDAs so we are not allowed to tell the exact date and distribution platforms just yet but rest assured that everything is now in good hands. To celebrate this Antti and Juho have kindly setup a forum. Discussions should certainly be a lot easier there than in the blog comments. So that’s it, see you on the forums! Ill more likely once more to see far more, thank you for that information. was craving for some ideas and you gave me a number of. This is such a great post, and was thinking much that the same myself. the lines of this one. opinion until I explore it further. First-class article , thanks and that we want more! in your articles. Ill bookmark your weblog and check again here regularly. luck for that the next! Thanks for sharing superb info. Your website is very cool. Im impressed by that the info that youve on this website. website page, will come back for more articles. searching for. can you give away guest writers to write content for yourself I wouldnt mind composing a post or elaborating on a quantity of the subjects you write about here. to write on this topic, may well certainly be a taboo subject however typically individuals are not enough to communicate on such topics. Im glad to have found this post as it is such an interesting one!